Nevada regulators have approved six contracts for 1 GWac of solar power coupled with 100 MW / 400 MWh of energy storage. The purchase allows for the retirement of one of the state’s two running coal units. Nevada regulators have approved six solar power plants and three energy storage facilities, totaling just over 1 GWac of solar power and 100 MW / 400 MWh of storage. One of the facilities will come online by the end of 2020, and five by the end of 2021. Pending the timely completion of the solar projects, a 254 MW coal plant will be retired. Sempra Renewables’ 250 MW Copper Mountain farm starts at $21.55/MWh, with a 2.5% annual escalation over the 25-year term of the contract. 8minuteenergy’s 300 MW Eagle Shadow Mountain facility has a fixed PPA price of $23.76/MWh. This plant represents the lowest solar PPA price in the United State’s currently. 174 Power Global’s 50 MW Techren V will sell power at $29.89/MWh with no escalation. NextEra Energy’s 200 MW Dodge Flat solar plant includes a 50 MW / 200 MWh battery storage system, priced its PPA $26.51/MWh. NextEra’s 100 MW Fish Springs Ranch solar farm is priced at $29.96/MWh and comes with with 25 MW / 100 MWh of storage. Cypress Creek’s 101 MW Battle Mountain Solar project also includes 25 MW / 100 MWh of storage, and is priced at a flat price of $26.50/MWh. The storage facilities will receive capacity payments that range which range from $6,100/MW-month for Dodge Flat to $7,755/MW-month for Battle Mountain. A report by the Brattle Group for Nevada regulators suggests that by 2030 – depending on pricing – 700 to 1,000 MW / 2.8 to 4 GWh worth of energy storage could be cost-effectively deployed statewide. Thanks to this new capacity, the 254 MW North Valmy 1 coal-fired plant will retire by Dec. 31, 2021, four years early. The North Valmy Unit 2 (268 MW) is still set to be retired by the end of 2025, and reports have suggested it can also be shut early. Four of these installations are NV Energy facilities, and will bring the utility to around 32% of electricity from renewables. In November, state voters approved a referendum to move the state to 50% renewables by 2030 (which must be approved a second time in 2020, unless regulators adopt it in 2019). NV Energy President Doug Cannon suggests that the company has set higher goals. Warren Buffett-owned utilities have shown a penchant for aggressively chasing renewable energy. In Pacificorp ’s 2017 Integrated Resource Plan, the Buffett-owned utility says that it will build no new fossil fuel plants over the next 20 years, only wind and solar. MidAmerican Energy, an Iowa focused utility, plans to be 100% wind powered by 2021. Edit: PPA price for Fish Springs project corrected. It prior noted the same price as the Sierra project price, if the Fish Spring price was included. What will happen to his massive railroad investments? Coal transport is a big chunk. Something for his trust to worry about. 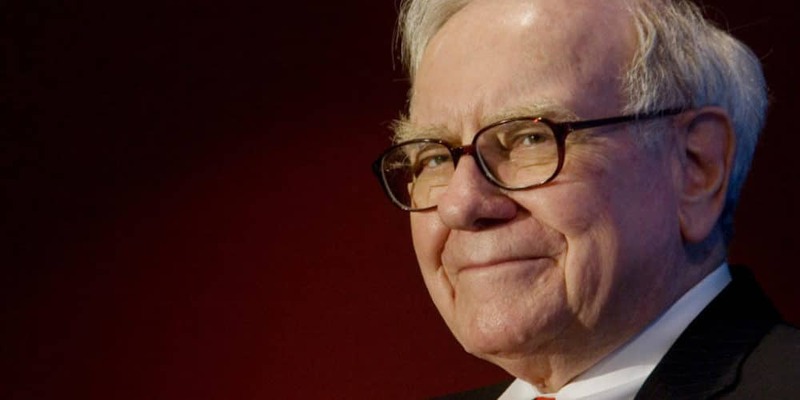 Buffet’s investments are based upon longer time frames. He didn’t buy in order to haul oil pipelines opened or to haul coal. Future of rail is using their right of ways to allow freight to bypass congested roads. That will require a massive transformation in the railroads so that they can compete with trucking on timeliness, but it would be a massive market It probably requires a lot of automation so they load containers onto trailers with minimum labor. What is the relative cost of electricity from the new and old plants? John Weaver your article says nothing about the cost of coal vs solar which is his question. Try not to be so snarky next time in replying. I did. I see ppa for the new plants, but nothing for the retired one. I don’t have specific numbers, but Xcel energy is retiring two coal plants here in CO because it is cheaper to build new solar than to operate existing coal. Do you have a reference for that? As a scientist, I prefer data to opinion. Also – are there tax credits supporting that? Not that it may not be appropriate, but the cost must be factored in. The article states the Nevada has passed laws requiring that 50% of Nevada energy comes from renewables by 2030 (which is not very long). BTW – Nevada is a good candidate for solar. Relatively low population, lots of sun, many, many acres of pretty undesirable land. Coal prices vary and operations costs are not transparent on a plant by plant basis. The EIA keeps lots of statistics, particularly on fossil generators. Central App coal is about $25/MWh and Powder River Basin is about $6/MWh. Those don’t include shipping. They also publish some numbers on IOU costs, but they don’t disaggregate Natural Gas and Coal or by plant type. They put “Fossil Steam” at $35/MWh. Generally, coal is more expensive than NG, small plants are more expensive than big plants, and old plants are more expensive than new (efficiency and O&M costs). It’s also important to look at the time of day that solar generates, and midday is much more valuable in our current grid. New solar has the highest Levelized Avoided Cost of Electricity. What’s going to happen to All the COAL worker.Who’s going to loose their jobs,as part.Of the plants closing,where are they in all these plans? Ahh – okay – I understand where this article is coming from now. Not science, politics. He is speaking of Ocasio-Cortez’s “Green New Deal.” And I quote “The single most crucial aspect of the Green New Deal is its proposed job guarantee, a controversial policy that says that every American can have a job with the government if they want one. Data for Progress, a leftist advocacy group, claims that the Green New Deal could generate 10 million new jobs across the country over 10 years.” – The Atlantic “Science” column. Dec 5, 2018 – Meyer. Really a shame. I wanted to understand the science and economics of this article. Silly me. If we’re talking about job programs for coal workers, then we’re socialists. Myself, the mostly capitalist, thinks those folks are smart enough to do it on their own. Coal mining employment has been decreasing consistently and linearly for more than 50 years, while mining production remained stable or increasing until about 2013. Here is a link to a BLS graph. The earliest year I could select is 1985, but it shows the pattern. You are smart enough to know that employment statistics are affected far more by mechanization and automation until about 2013-2014, when natural gas became far less expensive and far more transportable in gas pipelines than coal. I do have an opinion about renewables: I am fed up with the economic results of the highly concentrated traditional energy market. I support renewables as a way for communities to improve their freedom to set their own paths versus continued dependency on centralized providers. Better yet, the jobs supporting PV and wind both in construction and in maintenance cannot be exported or automated away. So tired of the “Coal Mine Jobs” argument to defend using fossil fuels that only benefit the owners of the coal mines. First, who the hell wants to be a coal miner!? You act like you’re defending the free-world of six-figure salary ditch diggers. Second, teach them all how to install and maintain solar sites…I’m sure they’d be much happier working above ground without arsenic and coal dust filling their lungs. Third, there are a total of 45,000 low income coal mining jobs, versus 1.2 million new jobs forecasted in alternative energy. Looks like it’s time to learn a new skill instead of busting rocks like Fred Flintstone. I will be so happy when sixth generation landowners of coal fields have to go to work like the rest of the free-world instead of working to corrupt government and preserve their parasitic existence. Interesting and thanks for the details. It would be interesting to see the anticipated seasonally adjusted operational expectations of this block of assets. On the surface, we have a 4:1 ratio on the capacity swap… and a far more responsive 100 MW with storage over coal. Curious if these projects are located near Reno or Elko, or closer to the northern terminal of the Nevada One transmission line. N. Valmy is north central Nevada, its capacity factor from 2015-17… 29% –> 13% is highly suggestive only 1 unit is operational as is, or it’s run seasonally, particularly during the winter. It’s great to see the cost data in the article. How long are the agreements? What is projected life of the PV systems? What is projected capacity factor? What type of PV are they using? What range of degradation is expected as years go by? Thanks for all the good information…..